Wetland ecosystems are some of the most biologically diverse ecosystems on the planet, home to innumerable species of plants and wildlife. In addition to supporting a vast array of flora and fauna, wetlands perform several important ecological and geological functions—they purify and filter water sources, control flooding, stabilize shorelines, store carbon, and provide protection from natural disasters. Unfortunately, the world’s wetlands are being degraded at an alarming rate, so many international conservation efforts are now focused on preserving these delicate ecosystems and raising awareness about their issues. 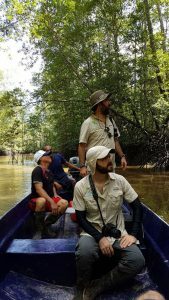 Osa Conservation has begun to focus efforts on the Térraba-Sierpe National Wetlands located at the neck of the Osa Peninsula. 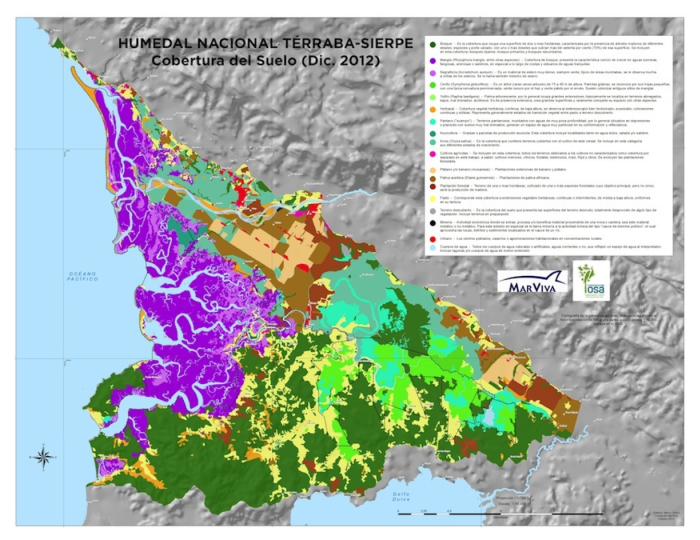 The area encompasses over 66,000 acres of land along the Térraba and Sierpe rivers, including the largest intact mangrove system in Costa Rica. Our new wetlands program aims to work with government authorities and local communities to protect this fragile ecosystem and the abundance of natural capital it contains. Osa Conservation is carrying out mangrove restoration strategies through the project “Effective Strengthening of Mangrove Ecosystems in Costa Rica and Improvement of the Quality of Life of the Local Coastal Populations.” We are grateful for the funding support of LDI- SÜD and KfW-DEG and are working in conjunction with Association of Piangueros and Marine Resources of Ajuntaderas (APREMAA) in order to promote the health, integrity, and sustainability this ecosystem. 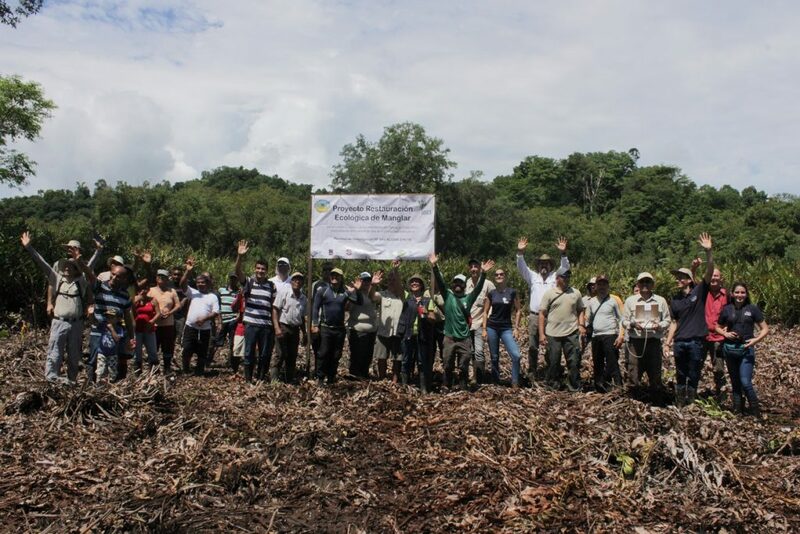 The launch and celebration of our mangrove restoration program in May 2018. We are excited to collaborate with our many partners in order to restore this important ecosystem. These restoration actions are based on active management, a technique that uses human intervention to remove the barriers that prevent the natural regeneration of the mangrove. This involves removing the opportunistic “negraforra” fern (Acrostichum aureum) in order create a more favorable environment for mangroves at restoration sites. The project is also establishing mangrove tree nurseries in order to grow the seedlings and accelerate the recovery processes of the ecosystem. We look forward to continuing to work with ACOSA, the Osa Municipality, the National University (Applied Tropical Ecology Laboratory), Bluesensus, ICE Group-El Diquís Hydroelectric Project, and GIZ Agency, among others. 2017 World Wetland Day. 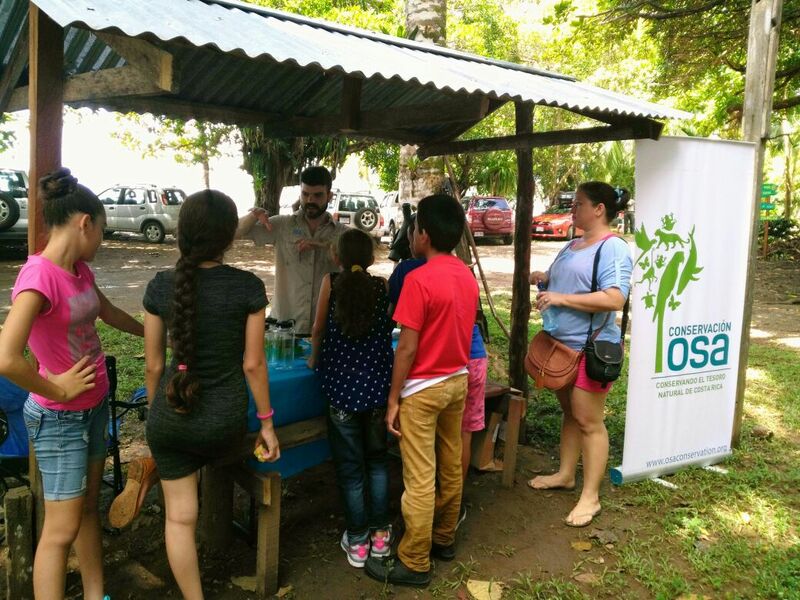 Osa Conservation discusses the importance of wetlands with community members as part of this celebration. Wetlands are key ecosystems for wildlife and humans. Staff members survey local wetlands by boat. 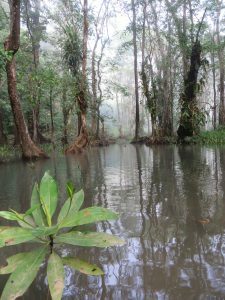 Read more here about why wetlands are important in the Osa. Learn about our new mangrove conservation initiative here.